Hee. It’s been awhile. Time to devote myself to this and Smile, Donghae while waiting for the new drama season to pop up. Totally off topic, but I realized today why Lin Geng Xin seemed so familiar to me—he’s 14th Prince from Bu Bu Jing Xin [did you know they are supposedly making a sequel?]! I was marathoning that over my vacation. The last two episodes actually made me cry. Anywho, on to Drama Go Go Go episode 2 recap. We open with Ming Ming sitting depressed on her coach recalling her ex-boyfriend’s words about how he lied about never wanting to get married since he knew marriage was on her mind. 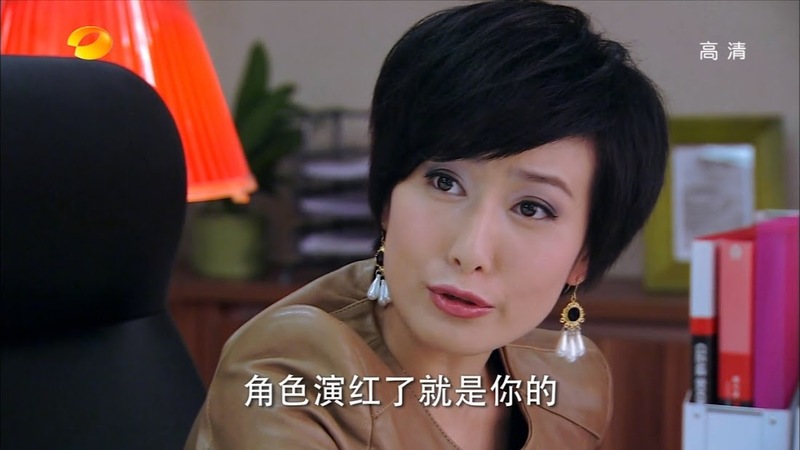 She then recalls Shou Tian’s early criticisms as well as PD Zhou’s. Enter Shou Tian. Ming Ming immediately turns off the radio (she was playing Eason’s songs again) and Shou Tian invites her out to eat—his treat. Ming Ming ignores him. Is she on a diet? Is she going to refuse to eat her meals while secretly sneaking snacks to get him in trouble with his mother? Or could it be she’s still angry at him…or is it that guy? Ming Ming looks at him confused. What does he mean? Shou Tian fesses up and says he was worried about her so he followed her. It’s her ex who doesn’t know what’s precious, not her. Shou Tian says he taught him a lesson. Ming Ming looks down at his hands and sees one is bandaged. She isn’t grateful but angry. She’s a 30-year-old who got dumped and if that wasn’t humiliating enough, Shou Tian makes it look like she had someone beat her ex up on purpose. Doesn’t he know that’s making her look worse? 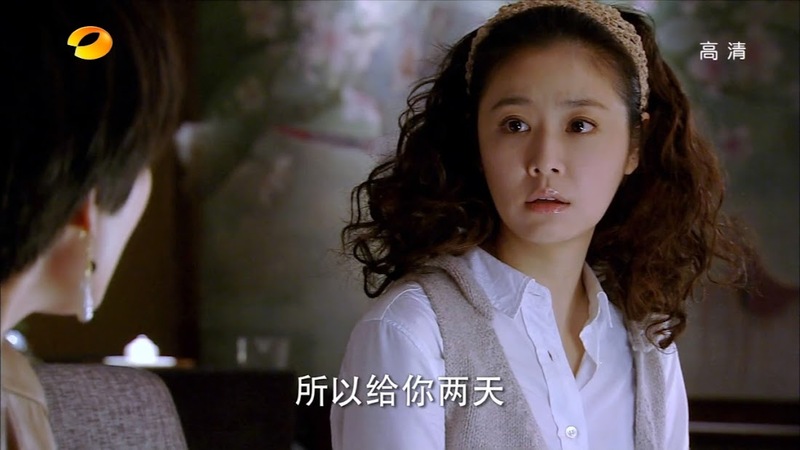 Shou Tian can’t believe she even cares about what her ex thinks. Does she really lack that much confidence? Ming Ming jumps off her couch. Of course she has no confidence whatsoever. Aging is like a knife—it’s every woman’s fatal weakness. With each new candle on a cake comes more likelihood that you won’t find your soul mate. She then says that Shou Tian could never understand. Ming Ming feels utterly humiliated to have him witness the scene with her ex. Why doesn’t Shou Tian just laugh at his useless jie [NOTE: they are NOT really brother or sister]. Ming Ming says she always ends up crying in front of Shou Tian. He thinks back and its true. He’s always there when she cries and when she vows that it will be the last time. Ming Ming says she will cry when she wants to. She has nothing to show for her life. Shou Tian tries to comfort her, but Ming Ming is beyond comforting right now. She yells at him to get out. He doesn’t move so she threatens to leave if he doesn’t. Shou Tian reluctantly leaves his sobbing friend alone. You can tell he’s upset. As he leaves, he sees something. He picks up a marker and begins writing. We then cut to Eason filming his part in the drama. The director yells cut and Eason’s mother rushes over. The two then happen to overhear the conversation between Zhou and Pei Ni. Pei Ni is complaining about Eason’s substandard acting and the fact that Zhou replaced the male lead (who had a mishap two days before filming) with a now unpopular idol. Zhou says she knows Pei Ni is only starring in the drama as a favor to her mother and then says it’s thanks to writer Wang Ming Ming that Eason even got the leading role. Zhou begs Pei Ni to not give her a hard time as she needs to listen to the script writer’s ideas, too. This does not make Pei Ni happy at all. So Zhou is choosing Ming Ming over her? That’s not it at all. Pei Ni then say she won’t make it hard for Zhou any more. Pei Ni says she will stop acting since there is only one day into filming and the loss to herself won’t be great. This does not make Zhou happy at all. Pei Ni says either get rid of Eason and Ming Ming or find a new leading actress. Zhou quickly promises to once again look for top stars to costar with Pei Ni. Zhou also tells Pei Ni to give Eason 5 episodes. She will tell Ming Ming to write out his character and a new leading male will start from the 6th episode on. Pei Ni leaves the office and sees Eason and his mother. She says nothing and only walks past them. She’s a bit of a witch. When Ming Ming finally leaves her room she steps on a piece of paper. She looks down and finds Shou Tian has left a trail of handwritten messages for her. Since she hasn’t accomplished anything yet, what does she have to lose? She should be courageous and confront and conquer her embarrassments. He also tells her not to give up on happiness as he thinks good things will happen in the end. Shou Tian promises his undying support and asks for her forgiveness. LOL. He’s a cute guy. This raises Ming Ming’s spirits. She determines to believe in happiness in the hopes that good things will happen. Ming Ming is at a convenience store shopping. She checks out only to find that it is pouring out and she has no umbrella. Really? Life is like a story sometimes. She never thought that what would happen next would ever happen to her. She stands in the doorway and waits. She talks about love arriving when you least expect it. At this time, a man comes running through the rain and bumps into her. The man apologizes. It’s Eason! They are both surprised to see each other. Does Ming Ming live around there? Yes, she came to get some food because she was hungry and it started to rain. What about him? He’s taking shelter from the rain. Eason then smiles and says its good he ran into her there so he can apologize. This surprises Ming Ming, what does he have to apologize for? Eason apologizes for mistaking her as a fan masquerading as a stylist. He had only intended to scare her and it turns out she’s the writer of the drama. Ming Ming waves his apology off—it’s okay. She is the one who should be embarrassed. Eason then takes off his coat and holds it over their heads. If she doesn’t mind, they can share his jacket. The two then take off running. Ming Ming drops her groceries. Eason stops and covers her with the coat while he picks everything up and gets completely soaked. Ming Ming looks on, touched. Eason then takes her all the way back to her house. Ming Ming thanks him for everything. Eason sneezes. He says he must have caught a cold. Ming Ming apologizes for him getting drenched. He says its okay as long as she doesn’t catch a cold and filming gets delayed. He then sneezes again and Ming Ming gets totally anxious. Inside, Eason is taking a shower as Ming Ming brings him clothes. She hesitates outside the bathroom and then puts the clothes on the ground and turns to leave. She knocks something over just as Eason opens the door. She looks up and when she seems him with only a towel around his waist, she quickly looks back down. She thrusts the clothes at him and tells him to see if they fit before scurrying away to work on the script some more. Eason, instead of putting the clothes on right away, looks around and sees posters of himself and partner from his idol days. He smiles before going back into the bathroom. Ming Ming is having a meltdown in her office. She needs to stop acting like a fangirl and start acting more professionally. She’s a writer and he’s an actor in the drama she’s writing. She calms down a bit and tries to get to work as Eason knocks on the door asking to come in. She invites him in and manages to smile composedly at him. Eason looks around at the office and says he’s curious to know how the drama gets made. He then apologizes—he’s not bothering Ming Ming is he? She quickly stutters out that he’s no bother at all. The first four episodes have already been written and now she’s just editing them. Eason should know how much script writers like perfection. She then glances over to see Eason has picked up a CD lying on her desk. He shows her the cover and Ming Ming looks away embarrassed. He then says her boyfriend must be perfect. Ming Ming says she has no boyfriend—aren’t modern women married to their jobs? Eason looks around the office and sees more evidence of Ming Ming being his fan. He goes over to a shelf where another CD sits and asks if being single is lonely. Ming Ming only laughs and says there is no time for her to feel lonely. She starts to say that living in a drama isn’t all that bad and quite rewarding when Eason leans over her shoulder to look at the script she is editing. Ming Ming then says, after being slightly startled, that there is no perfect male lead in real life. Eason then says, “Missing someone is like a rainstorm—it won’t stop no matter what you say. For me to forget a worthless person, I just turn around, but for me to forget you, I’d have to forget myself.” This floors Ming Ming. Just what is Eason saying to her? Eason then pulls back and says it was from the scene he was looking at. How was it? His acting isn’t bad is it? Ming Ming forces a smile and says it’s good. Eason then says that her script is filled with moving lines. He also says that he should die for not defending her script earlier when Zhou and Pei Ni were ripping it apart. Eason then asks if Ming Ming loves Fang Meng. Huh? Eason repeats the question. Does she love Fang Meng? Finally getting what he means, Ming Ming quickly says of course she does. If she didn’t, how could she write the script so well? Eason then calls her teacher. He wishes to talk to her to fully understand the character of Fang Meng. He takes her hands and asks her to believe in him as he will become the Fang Meng she envisioned. He then looks down at their clasped hands and jumps back. He apologizes for bothering her and goes to leave. He notices the shoe from their first meeting. What is that? Ming Ming quickly springs up and says she had meant to return that to him earlier, but forgot. He asks if it is her size. All of Eason’s questions really seem to be taking our Ming Ming back. When she doesn’t respond, he asks her to sit down. She does and Eason personally puts the red shoe on her foot. He smiles and says it fits perfectly. He tells her it can be a gift. He will bring it’s mate over next time so she can have a full pair. He then takes his leave while Ming Ming only sits stupefied. Outside he looks up at her apartment and smiles before leaving while Ming Ming only looks at the shoe in wonderment. Eason’s mother pulls up and anxiously asks him how it went. Eason smiles and we flashback to him remembering Zhou promising to axe him after the 5th episode. 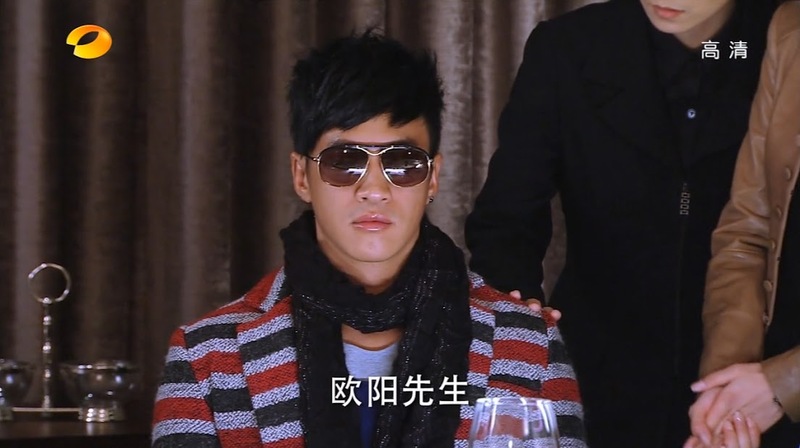 Eason angrily went to confront Pei Ni, but his mother stops him. That will only get him fired that more quickly. No, they need to start with the script writer who recommended him for the drama. Didn’t Eason say he bumped into her in the changing room? She was blushing and palpitating. All Eason needs to do is apply the right prescription. The flashback ends and Eason and his mother are back at home. He confirms that his mother was right about Ming Ming, plus she doesn’t have a boyfriend. Eason then reveals that what is really outrageous is the fact her house is full of HE [his idol duo days—HE stood for Henry and Eason] stuff from posters to CDs. His mother says it was lucky they staked out her house all night and lucky it rained. The handsome man plan will definitely work. Eason says it’s helpful, but… But what? If she was a hateful girl, it would be okay. However, Ming Ming is a very innocent girl. Is doing this really okay? He doesn’t really have the heart for it. His mom says she won’t force him—he can’t just be killed off after five episodes. A knock sounds on the door. It’s their landlady. Looks like she’s been trying to catch them at home for a long time now. Looks like they owe quite a bit of rent. The landlady says she heard Eason’s stall business was doing well and demands the back owed 3 months. Eason’s mother says that while the business is doing well, all profit went for her son’s wardrobe. He is, however, starring as the male lead in a drama. Of course, the landlady is sick of excuses. She doesn’t believe any one would pick a washed up unpopular former idol as a lead actor. Eason’s mom scolds her for saying that in front of her son. The landlady then reminds Eason’s mother about how she said he was some shopping mall’s spokesperson, then a shower gel spokesperson. However, he was always replaced in the end. Eason angrily gets up and says he will not be replaced this time and hands over the bag of shoes to his landlady. What? Is this for collateral? Eason says they are to shut her up. He then vows to give her half a year’s rent after he signs his contract next week. She thrusts the shoes back and says she doesn’t want them, but the rent. She then says if she doesn’t get the money soon, he’ll be out on the streets. She goes to leave, but does end up taking the shoes with her. Mom turns to Eason and tells him to take note of what the landlady said and use that to help him. Mom says she knows that Eason is kindhearted, but this is reality. Right now the only one who can probably help him is Ming Ming. Ming Ming is trying to sleep, but someone is vacuuming. She angrily gets up when she gets a message on her phone. It says “Good morning, Sleeping Beauty. I actually saw you in my dreams last night.” Huh? Ming Ming immediately texts back and asks who it is. She is floored to learn it is Eason. He tells her he’s washed the clothes from the night before and will give them back at the filming site. Ming Ming looks at her foot which still has the red shoe on it. You can tell she’s over the moon about Eason’s text. 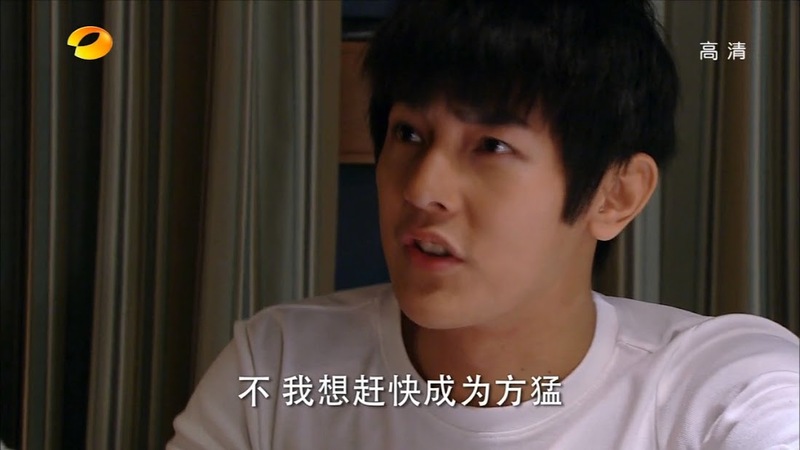 Ming Ming goes out and scolds Shou Tian for cleaning once again. It’s only been 48 hours—how much dust does their house have? Shou Tian turns off the vacuum and says that she knows his personality—he can’t wait until things are unclean to clean. He then holds up his notes. Ming Ming tells him they are corny and people on TV can do it better. Shou Tian smiles and asks if she feels better now. Ming Ming says she wasn’t angry at him and he says he knows. She is at peace with her self, plus it’s not like she had a major identity crisis. She then says that thanks to his encouragement, something good happened last night. Really, what? Ming Ming waves him closer only to should in his ear that she’s not telling him. She giggles and then says she has to quickly leave to go to work. Shou Tian says he knows she’s very busy and he has to go out too. She then says he must sneakily wish to follow her. Shou Tian say he doesn’t have much time to follow her around. He’s meeting with professionals in his field in hopes of building a website better than Youku. Really? 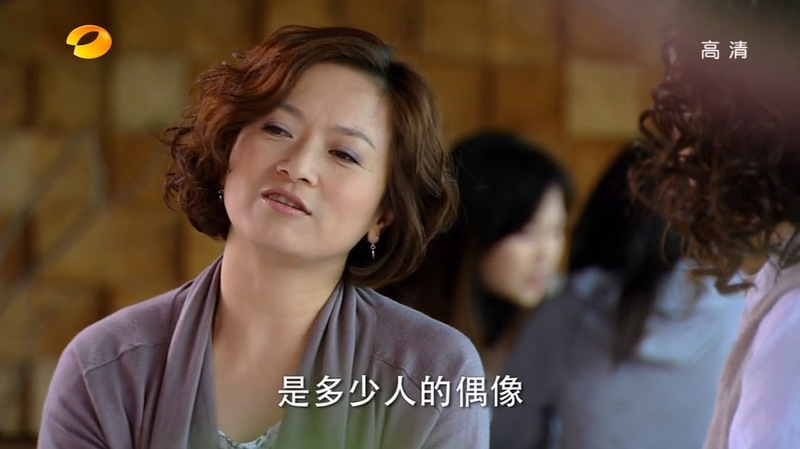 Ming Ming then gets a call from Shou Tian’s mother who tells her news that Ming Ming can’t bear. She even repeatedly says she can’t do that. Yan doesn’t listen to her and just hangs up. Shou Tian asks what happened. Ming Ming says that Yan says she she will be working on a drama in Singapore and won’t be coming back. It will be up to Ming Ming to finish writing Eason’s drama. How is that possible? Shou Tian holds up his fits and just tells her to work hard/fighting (jiayou). At the film company, Eason’s mother meets with Zhou and says she read over the contract again and discovered there was no mention of hours. Zhou says that even though there is no hours guaranteed, Eason and his mother should be happy—plus they’ve already signed the contract. Eason’s mother say they were very happy and that it was her fault for overlooking this obvious problem. Eason’s mother then asks for an hours clause to be added. Zhou says that won’t be necessary unless Eason is planning on dropping the drama. Of course not! Eason’s mom then tries to backtrack. Of course she can’t spit out that she overheard everything and is trying to ensure her son stays at the male lead. Thus Eason’s mother is shown out of the office. Before she leaves she can’t help but ask if Eason is only going to be around for five episodes. Zhou asks who said that. Isn’t Eason the male lead in the parts of the script already written? That’s right. 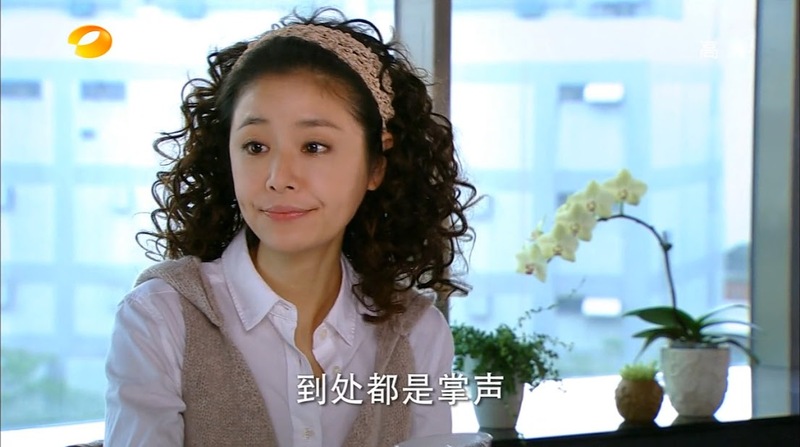 Zhou tells her not to waste her time on idle gossip and concentrate on Eason acting well. As long as his character is popular, there is no one who can get rid of him, right? This makes Eason’s mother feel a little better. Just as Eason’s mom heads out the door she overhears Zhou asking Assistant He how the contacting is going. He reports Ou Yang Cheng (Peter Ho!) has already arrived. In the dressing room, Eason talks to his mother. Mom tries to assure him that he won’t be leaving after five episodes as Zhou was very unclear on things, plus it will be hard to get an A-list actor as a rushed replacement lead of a drama already partially filmed. In spite of saying these words, his mother is still very worried. It can’t be what she’s imagining, right? Since she isn’t explaining herself, Eason has no idea what she’s talking about. Mom tells him to forget it and tells him to keep concentrating on seducing the script writer. You know this plan doesn’t make him happy, but he’s desperate right now. I get that having the writer on his side can help to some extent, but at the same times, writers can also be fired and replaced mid-run as well so it seems a bit silly to place all their eggs in that particular basket. We then cut to Eason and Pei Ni filming. I must say both actors seem horrible and fake right now. Eason keeps getting NGs from the director while his mother and Ming Ming watch on. Pei Ni finally yells cut herself and says she has reached her limit. The director then calls for a break. Pei Ni then tells Eason he should be sorry to himself since he can’t act out something so simple. Does he think being a male lead will really guarantee his popularity will rise? That’s too sad. Ming Ming goes to head over, but Eason’s mother stops her. It’s really hard for him right now since HE used to be popular. They should let him cool down. Eason’s mother and Ming Ming sit down for coffee and Eason’s mom tells her about how popular the boys were and how she used to work in advertising at the company they were signed to. Ming Ming says she knows of their popularity as their songs touched her. Eason’s mom says it is horrible how short an idol’s lifespan is. By the time their 5th album came out the music industry wasn’t doing well and they were replaced with a newer, younger group. Henry’s family was rich, so when he announced he was quitting the entertainment industry altogether, he opened a nightclub. Eason didn’t have that privileged background, he wasn’t good at saving money, and had no other skills. He used to shine brightly, but his aura gradually dimmed and people stopped caring about him. With no income, Eason rented a tiny apartment while his mother encouraged him to wait for a chance to renew his dreams. She then begs Ming Ming to help Eason with his last chance. Ming Ming immediately goes to seek out the depressed Eason. He smiles sheepishly and apologizes for asking her to come only to see such a miserable sight. Ming Ming approaches him and says that she was miserable herself yesterday, but someone told her that since she’s so miserable, there is nothing left to lose. She smiles and says she’ll lend him those words. What? Ming Ming smiles again and says that the Fang Meng she wrote may be depressed and has his struggles, but he is not easily defeated. Didn’t Eason promise to become the real Fang Meng? He wouldn’t lie to her right? Eason says nothing and Ming Ming gets a call from Zhou asking her to change the location. Ming Ming agrees and quickly rushes off but not before wishing him luck and telling him he must definitely become her Fang Meng. Eason can only stare after her. He then narrates that her words created a magical, powerful force in his heart. He came to understand later that if something starts wrong, no mater how hard you try, you can’t take it back—is this foreshadowing something bad for our leading couple? He said the only thing he could think of was that he owed her something. Eason quickly goes to his landlady’s house and starts looking through the shoes. He fights with her over the sole red shoe and quickly makes his escape while Ming Ming meets Zhou at a restaurant. She is shocked to find Pei Ni and Ou Yang there. Zhou says that Ou Yang has agreed to join the drama starting with the 6th episode. Ming Ming is confused and Pei Ni looks absolutely thrilled. Ming Ming asks what is going on and Zhou says there is no such thing as two male leads and that Eason must be killed off in the 5th episode. Zhou reveals they were rushed to find a leading actor and settled on Eason, but his performance is poor. Ou Yang agrees to do the drama as long as they keep it a secret until after he’s signed the contract since he’s currently filming a drama in Japan. Zhou quickly agrees to his demands. Ou Yang goes to take his leave. Zhou goes back in and asks if Pei Ni is okay with the new change. 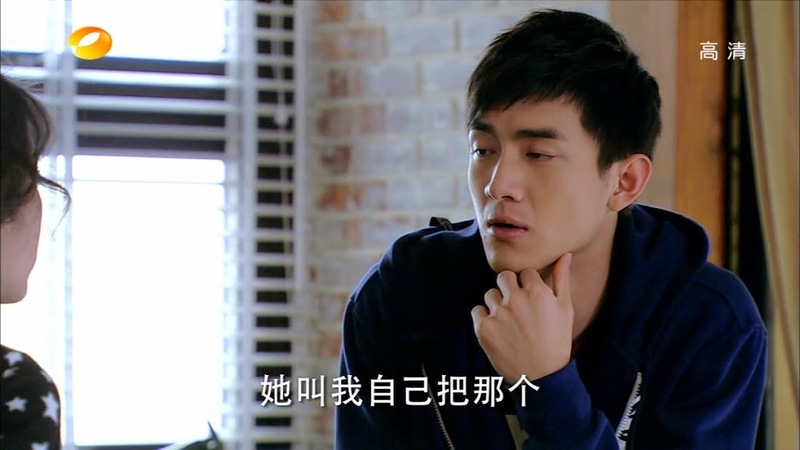 Zhou asks what thoughts Pei Ni has for Ou Yang Cheng’s character. Pei Ni looks at Ming Ming. The script writer is there, why not ask her? Ming Ming has still not recovered from her shock. She has just found out herself about the change and so isn’t prepared. Zhou then gives her two days to re-do episode 5 and kill Fang Meng off. Ming Ming says the entire framework has been drafted around Fang Meng. If they change episode 5 now and kill him off, the entire drama will be changed. Yan will not agree to that. Zhou looks at her and demands Ming Ming to just write it. Zhou says she already let Yan know and the woman agrees with her. Poor Ming Ming. Ming Ming sits at her laptop at home recalling Zhou’s words and Eason’s mother’s. She wonders how she can help Eason. Is she even able to do so? At this time there is a knock on her door. She gets up and asks who it is. A person says it’s a delivery. But she didn’t order anything. She opens the door and is surprised to see Eason. Why is he there? Why, is he not welcome? Of course that isn’t the case. Eason comes in and asks if he’s bothering her. Ming Ming quickly replies he isn’t. Eason then notices her laptop. Was she doing homework? No, script revisions. Eason goes to take a peek, but Ming Ming closes the laptop and the two end up going in circles around the coffee table as Eason tries to coax her into letting him sneak a peek. It’s cute. Ming Ming tells him to sit down and he confesses he’s there to discuss the script. He’s really anxious to know what happens after episode 4. Ming Ming is worried. Should she tell him or shouldn’t she? Before she can say anything, Eason admits he’s afraid Fang Meng will will go down like HE. Sparkling at first only to die down. After hearing his fears, Ming Ming yells that she won’t let Fang Meng die. End episode. Looks like our plot is going to start getting very complicated. Does anyone else find it funny that when it comes to acting, Eason is a master off camera, but when it comes to acting on camera, he’s completely fake? I mean, if you didn’t know he was playing Ming Ming, you couldn’t tell from how believable he is. And why is it that when Pei Ni is acting on camera she seems so fake? Isn’t she supposed to be a great star? How was her acting any better than Eason’s?